Facebook’s numbers are in, and they look good across the board — especially in mobile. The social giant posted its second-quarter earnings on Wednesday afternoon, reporting earnings per share of 13 cents on revenue of $1.81 billion. That beats analysts’ expectations of an EPS of 14 cents on revenue of $1.62 billion. But the biggest point of interest here is in the breakdown of Facebook’s revenue numbers. Mobile revenue, the most closely watched part of Facebook’s business, accounts for 41 percent of Facebook’s total revenue. That’s a leap from accounting for nearly 30 percent just last quarter. Facebook has faced intense criticism from investors over the past year and a half, as Wall Street voiced concerns that the company couldn’t adeptly handle the massive shift from desktop to mobile use. Most of Facebook’s advertising products were optimized for desktop users for as long as the company has been around, and only over the past year has it tried to shift toward a “mobile first” environment. The company, however, has made some inroads with new mobile advertising products — in particular with its mobile app installation ads aimed at application developers. As far as overall user growth, Facebook is still increasing in both new users and engagement. 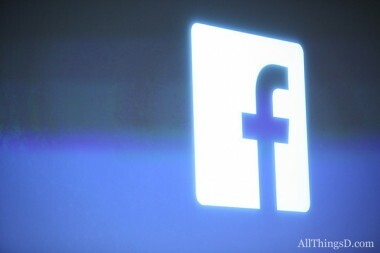 Facebook’s daily active users increased to 699 million, a jump of 27 percent year over year. And monthly active users swelled to 1.15 billion, a 21 percent increase year on year. But again, the biggest number of note here is the mobile MAU number. Monthly active users on mobile jumped to 819 million, an increase of 51 percent year over year. Talk about a shift from desktop to mobile. Facebook’s stock is up nearly 20 percent in after hours trading, hovering around $31 per share. Tune in to my colleague Peter Kafka’s live coverage of the earnings call here.